This counter height kitchen island set is a perfect way to bring modern farmhouse living to your dining area. Its relaxed vintage style creates a welcoming atmosphere perfect for gathering your family around for everything from long lunches to whipping up a late night snack. 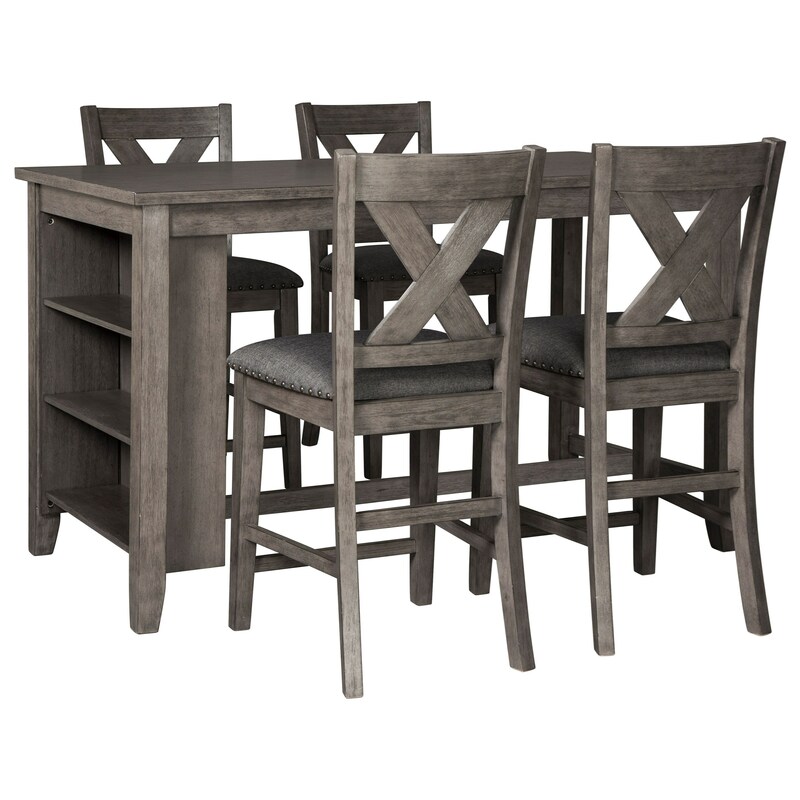 Completing this set are the barstools with classic X-back styling and nailhead trim. The Caitbrook Relaxed Vintage Five Piece Kitchen Island & Chair Set by Signature Design by Ashley at Miskelly Furniture in the Jackson, Pearl, Madison, Ridgeland, Flowood Mississippi area. Product availability may vary. Contact us for the most current availability on this product. Bring the inviting style of modern farmhouse living to your home with this dining collection. Constructed from Acacia veneers, hardwood solids, and engineered wood, these pieces are full of lovely relaxed vintage style. The Caitbrook collection is a great option if you are looking for Relaxed Vintage furniture in the Jackson, Pearl, Madison, Ridgeland, Flowood Mississippi area.